We bid a sad farewell to a dear friend and recording artist of the Piranha family;, a great musician from Zimbabwe, a beautiful person beyond his music, a UNICEF ambassador and much more - Oliver Mtukudzi. "It is difficult to say what type of music I play. I don`t stand for one type of music. What counts is the message and the beat. I have tried to combine some of the beats which are the true, free expressions of Zimbabweans from each region where that kind of music is sung and danced in order to make a national rhythm." These are the first lines that you read when opening the booklet of Oliver Mtukudzi’s “Shoko” album. Produced by Piranha in the early 90s, this album includes some of the greatest hits of Mtukudzi's early years. For his international debut, Mtukudzi came to Berlin in 1990 to perform at Piranha's Heimatklaenge festival. We then decided together on location to join forces, re-record some of his earliest works and create this record together - as a move to support him and his music against a serious legal dispute that existed back home with his local record company. 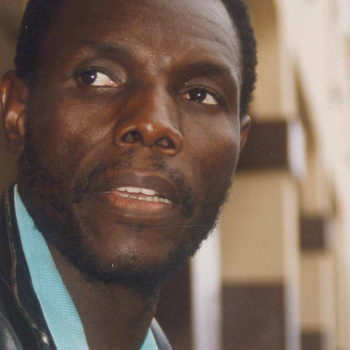 Oliver Mtukudzi, guitarist, singer and composer, passed away on Wed 23 January 2019 in Harare, Zimbabwe. Our deepest sympathy is with his family and friends. >> We found some copies from this hidden gem in our archive. In case of interest, write us an email at records@piranha-arts.com.